The Lincoln County Sheriff’s Civil Division is in charge of all civil and criminal process, Distress Warrants, County and District Court security, Arrest Warrants, DARE and a number of community service programs. The Criminal Investigation Division is responsible for investigating major crimes initiated by Deputies. Investigators commonly investigate crimes such as simple assaults, sexual assaults, child abuse and child neglect, abuse to the elderly, animal abuse, thefts, fraud, criminal mischief, burglary, robbery, and murder. The Patrol Division is staffed with 16 full time professional Deputies and is responsible for the handling of all public calls for service including assistance calls, criminal investigations, traffic code enforcement, accident investigations, and local village ordinance enforcement. The Patrol Division handled 10,457 calls for service in 2015. The Patrol Division also assists the Civil Process Division with excess paper service, arrest warrants and court security. 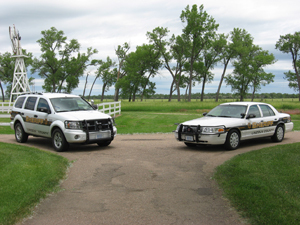 There are currently three Reserve Deputies that assist the Patrol Division on an on-call basis. The Reserve Division is made up of community paid volunteers who are interested in participating in limited duties of a Deputy Sheriff. Before acceptance, these volunteers undergo an extensive background investigation that equals that of a Deputy Sheriff. They receive extensive training by Field Training Officers and are then sent to two weekends of training at the Nebraska Law Enforcement Academy. Reserve Deputies are charged with supporting the work of full time Deputies and primarily assist the Civil Process Division. Recently three new Reserve Deputies were added to our staff, all are certified Deputies who retired from the North Platte Police Department. Reserve Deputies are required to work 8 hours per month, but not allowed to work more than 100 hours per year. They are paid $1.00 per year for their service to Lincoln County. The Lincoln County Detention Center houses prisoners that are arrested by surrounding Federal, State, and local law enforcement agencies. 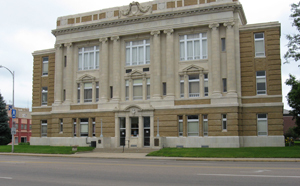 Individuals who have been sentenced to less than one year imprisonment by Lincoln County Courts are also housed in the Detention Center. A number of inmate services are provided to all inmates that include legal, medical, psychological, commissary and visitation. The Lincoln County Sheriff’s Posse IS NOT an official division of the Lincoln County Sheriff’s Office. The Sheriff’s Posse is a group of dedicated volunteers and community ambassadors who provide assistance and support to the Lincoln County Sheriff’s Office with public relations and search and rescue missions. We are grateful for all they do for Lincoln County and the Lincoln County Sheriff’s Office.